Download book here in pdf. 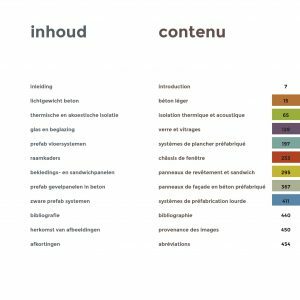 Download cahier here in pdf. 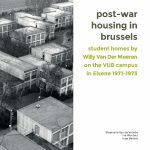 Understanding and conserving the post-war housing stock in Brussels (1945-1975). 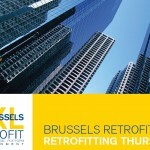 Retrofit for continuity! During the post-war period, house building in the Brussels Capital Region, as elsewhere in Europe, boomed. 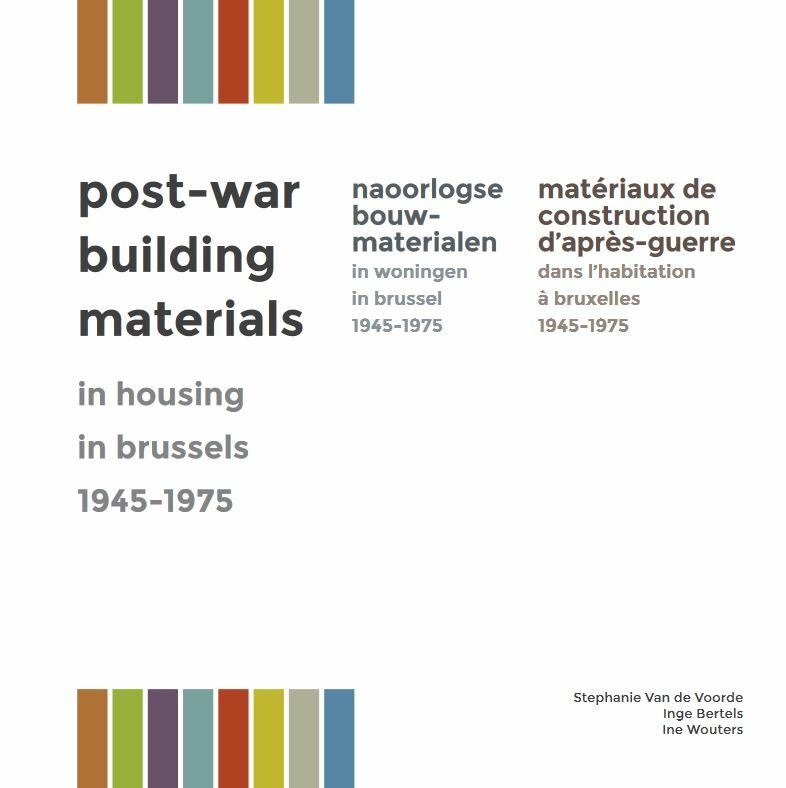 In the heydays of residential construction, in the late 1960s, more than 7,000 new dwellings were created annually, which were constructed in newly developing districts or plugged into the existing urban fabric of Brussels (fig. 1). 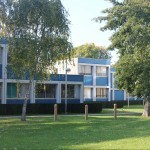 And still today there is a vast need for residential accommodation. 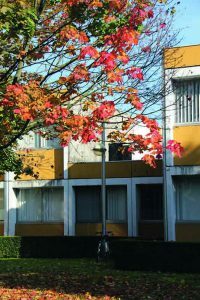 This need can only be met if the existing stock of residential buildings, including the post-war buildings, can upkeep its function. 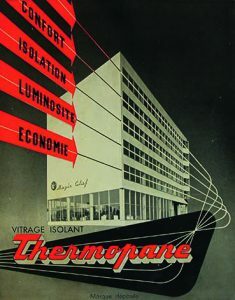 Yet these once so modern buildings are aging: as original building systems deteriorate and expectations of occupants alter, there is an urgent need for retrofitting them, within the next decades. 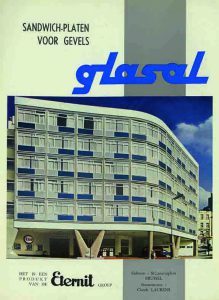 But how do you renovate or transform a post-war building properly, so as not to lose the elegance and liveliness of its original design? 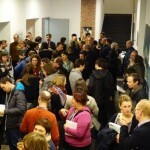 Architectural, social-cultural, economic, and environmental characteristics need to be assessed to formulate answers. 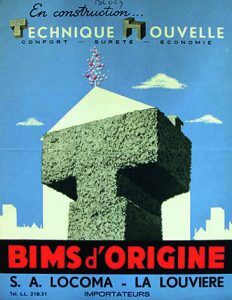 However, many gaps in knowledge still need to be filled, even though research dealing with post-war architecture has increased. 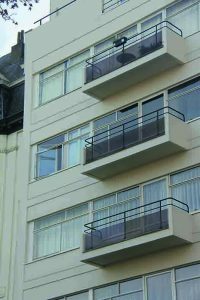 Indeed, post-war built heritage has recently been taken into consideration in heritage registers and design monographs. 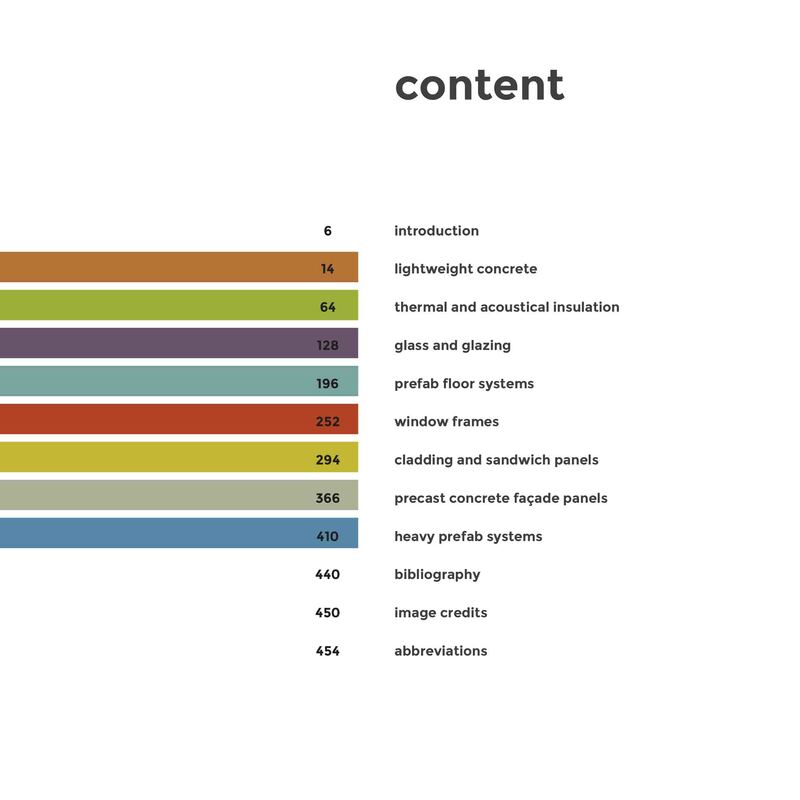 Yet, more specific information on building materials and construction techniques is needed to fully understand the material nature of these buildings, especially because a vast amount of novel materials and innovative construction techniques came into being between 1945 and 1975 (fig. 2). 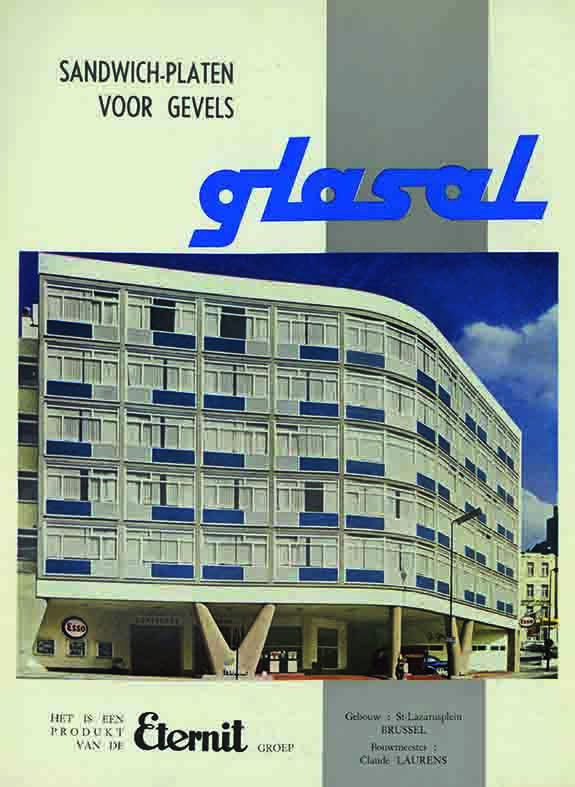 Documenting and analysing these innovations, therefore, are essential for the assessment of post-war architecture. 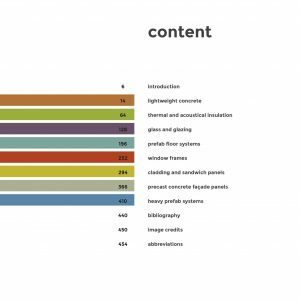 Understanding the novel materials and structural assemblies is not only necessary for determining a building’s aesthetic, social, scientific, and historical value, but also for assessing the retrofitting capacity, and so that renovations can be intelligently planned. 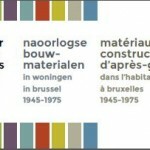 For these reasons, a trilingual book and website (www.postwarbuildingmaterials.be) have been created as basic instruments to shed light on the development and applications of innovative building materials and techniques in house building in Brussels (and Belgium) in the period 1945-1975 (fig. 3). 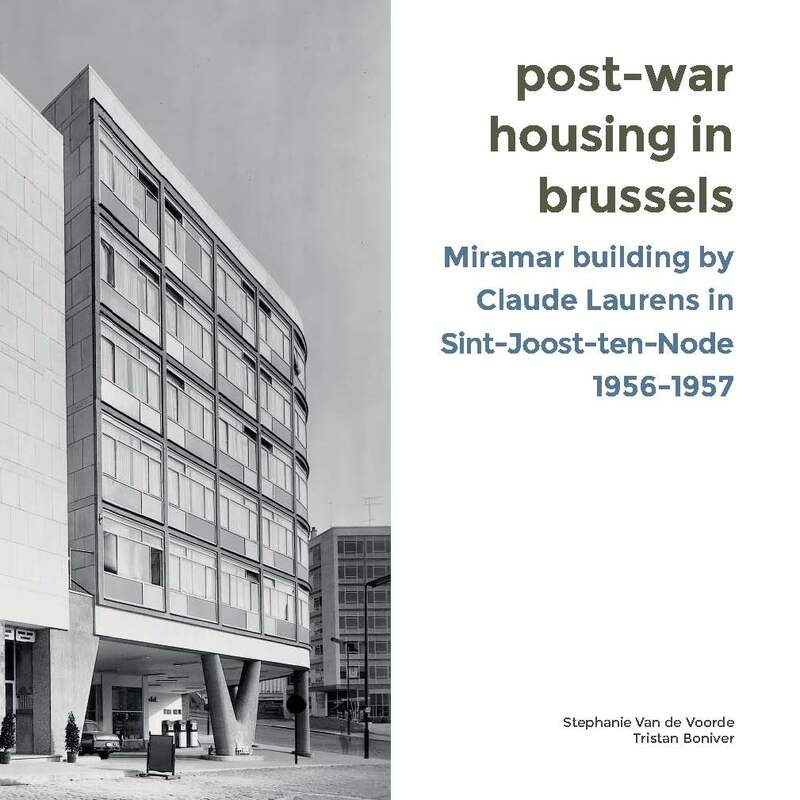 The book and website are based on archival research, a broad literature study, architectural journals of the post-war period and case studies. 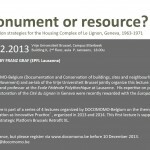 They will assist a broad group of stakeholders, ranging from architectural and construction historians, restoration and renovation architects, to building administrators and owners, in recognizing and valorising typical post-war materials. 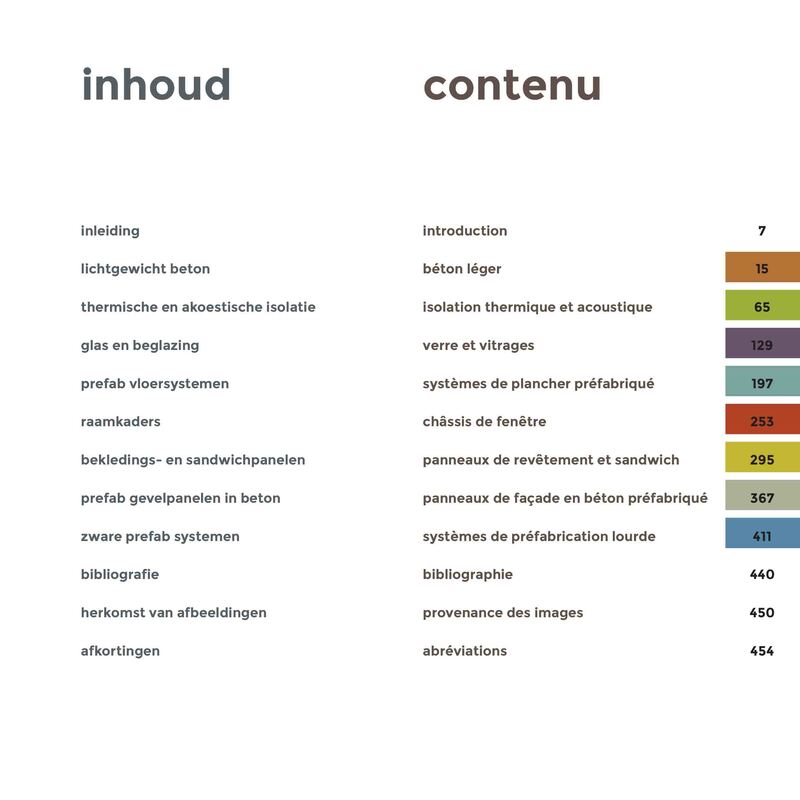 This research will help them to link brand and product names with their fabrication, and understand their applications. 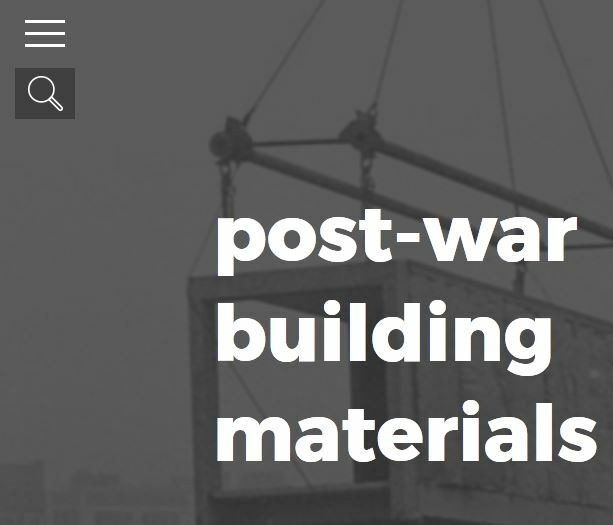 It can support decisions to repair or reuse materials in restoration and retrofit projects, and judgements on the feasibility of material recycling, as well as sustainable retrofit strategies such as ‘re-design for change’. 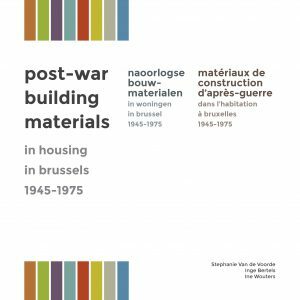 We also aspire that the book and website will stimulate further research on these materials and post-war architecture and construction in general. 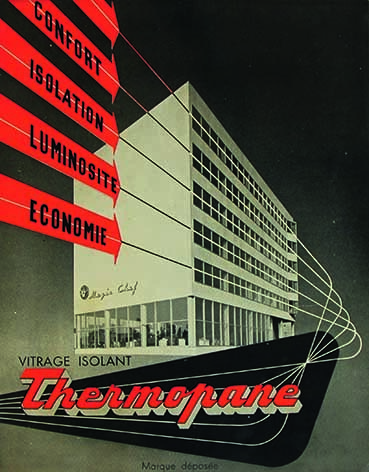 The book and website are composed of eight chapters, each dealing with a specific material or building product that was invented or innovative and was commonly applied in residential buildings in the post-war period (fig. 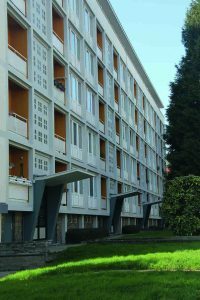 4): lightweight concrete; thermal and acoustical insulation; glass and glazing; prefab floor systems; window frames; cladding and sandwich panels; precast concrete façade panels; and heavy prefab systems. 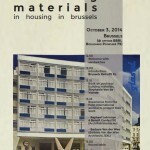 Along with the characteristics of these materials and building products, common brands and manufacturers are documented and applications in residential buildings in the Brussels Capital Region are illustrated. 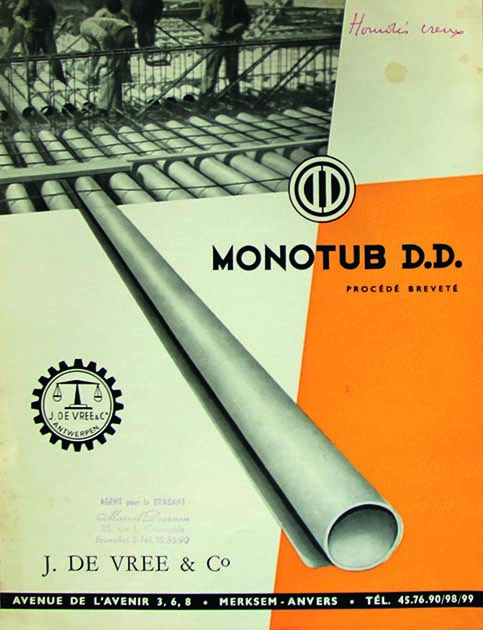 Moreover, a large collection of product advertisements and applications published in the journals listed above, can be accessed from the website by means of easy search tool. The website also provides additional research content, including an index of (sometimes obsolete) products and company names, and a trilingual lexicon with most relevant technical terms.